Discussion in 'Pop' started by ManicKangaroo, Aug 11, 2018. That's a nice nod though, it sounds very well done. I'll let her do the fifth spawn after the glory that was "Death of Love"
Interviewer rather charmingly refers to her dropping her next child. She looks lovely though; blooming as they say. I do love her - the fertile minx. I haven't seen a SEB interview in years but watching that reminded me what a great personality she is. I remember back in the day she could be VERY DIRECT which made interviewers uncomfortable. How have I only just discovered Love is You and why is it on iTunes chart? Radio 2 are playing it (and The One Show performance). I find it hard to get excited about the orchestral GH she has in the works, but she remains a joy. 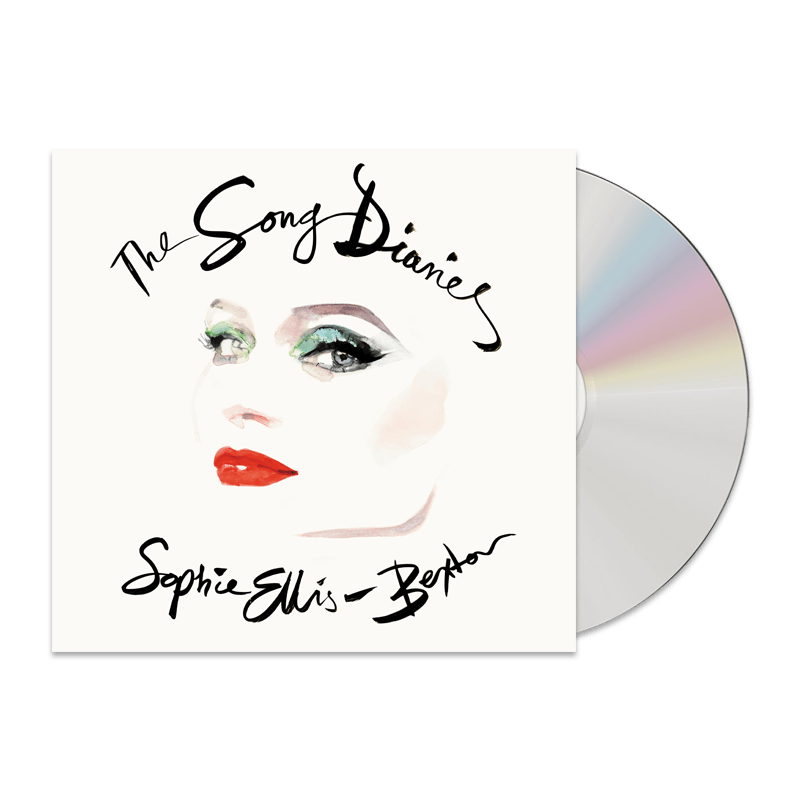 Song Diaries release confirmed for March 2019. She's just released the orchestral mix of Take Me Home as her latest single. It sounds pretty much like Cher's version with Sophie's vocals on top, which to be honest doesn't really serve either that well. Nice idea though. I don't think it's a nice idea at all. Her website has a few different packages and signed items, including signed limited edition baby blue vinyl, which I'm finding oddly alluring, even though I've no interest in this whole project, really. No I Won’t Change You? I’m OUT. Perhaps you're in the market for a tote bag or tea towel instead? oooh, is the cover art by david downton? it's beautiful! totally here for an orchestral version of today the sun's on us. a lot of the others - not so much. also: poor forgotten if you go. I have to say I do like the cover art. I think that is what has got me (very) mildly excited. The tea towel IS quite nice. Did she get one of her kids to draw it? Clearly I'm just a sucker for the DISCO STRINGS, but the orchestral disco versions of Murder On The Dancefloor and Take Me Home are hitting the spot this afternoon. Shame the others are all just orchestral. I didn't realise she gave birth a month ago. Hopefully she'll be up to a bit of promo for the album by the time of release. In her last email the Pledge situation was referenced and it was said that all orders would be honoured or something along those lines. Yeah I saw that post. She’s doing the same as Wendy James is with her project and recommending any new orders are placed direct with her. Wendy has a list of all existing pledge orders and says they will be honoured. The pledge issue is more that the artists themselves may not receive or have to wait a long time for their payments from pledge who pay them once the project is completed normally. People’s orders aren’t in jeopardy. Does she absolutely hate Get Over You? Where is that? Wasn’t it a top 3 hit?! She said the original version of Groovejet would be on the release. Unless there is a digital release of the original versions. She's announced an extra set of tour dates for November. £55 a ticket for the Leeds date seems... optimistic. I hate to say it, but I really don't have any interest. The whole project just feels really misconceived. I'm previewing some tracks now and Groovejet, while a fabulous dance track, does not lend itself at all to a sweeping orchestral arrangement. I’ve loved the last two albums but don’t feel inclined to get this or listen. I suspect it’s something that might be enjoyable as a live experience for an evening but not for repeated cd listening. Yeah - for a concert it's a great idea. And I think perhaps the two disco mixes at the end might be worth a listen. But a whole album of orchestral versions? No. Can we bring back FLUSH ? Suedey and Iguana like this. I'll buy it at some point I expect but I'm in no rush. I think it would have been fine as a quick diversion but the GESTATION PERIOD has been just too much. Who knows when she'll get around to a proper new album - I expect she is getting broody again. She’s put a few ideas in a notebook she said. Workaholic. I'm really surprised she has fans to be honest? She won't fill the Palladium. Most certainly not at £55 a pop.